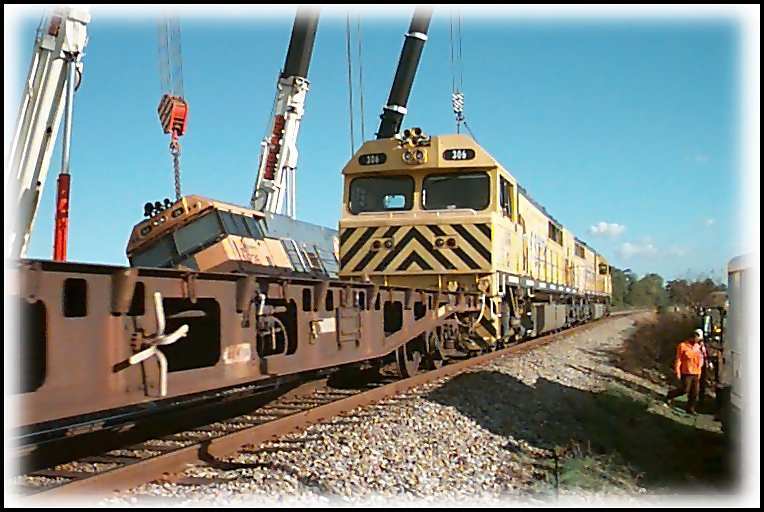 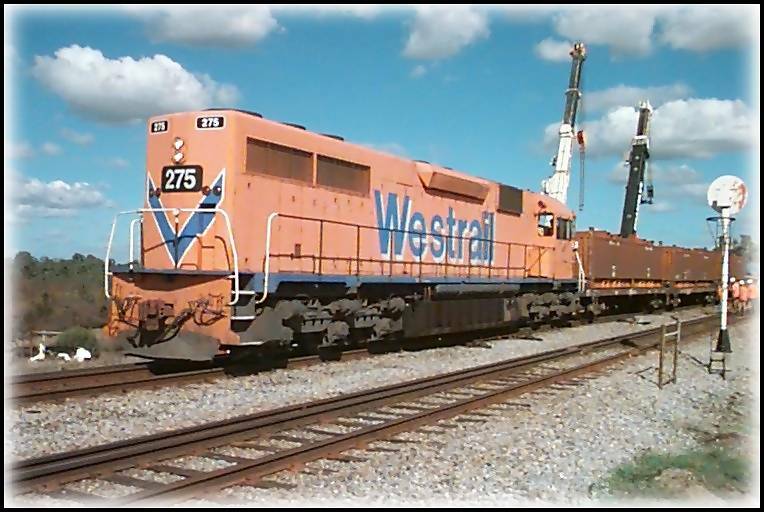 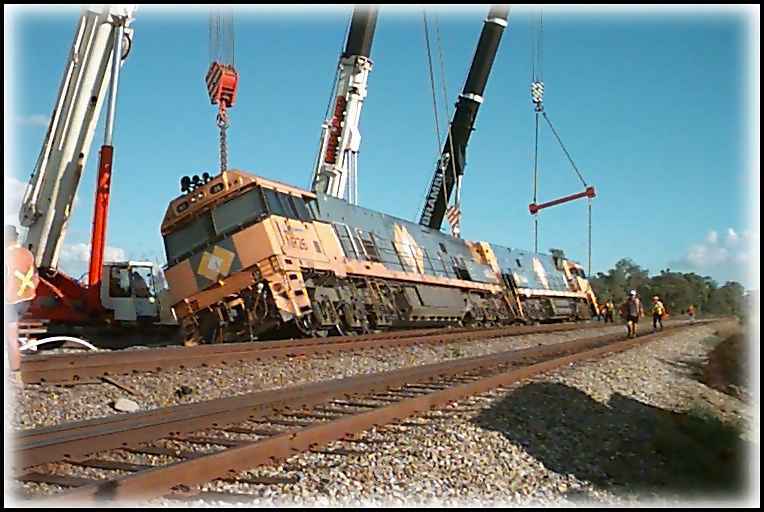 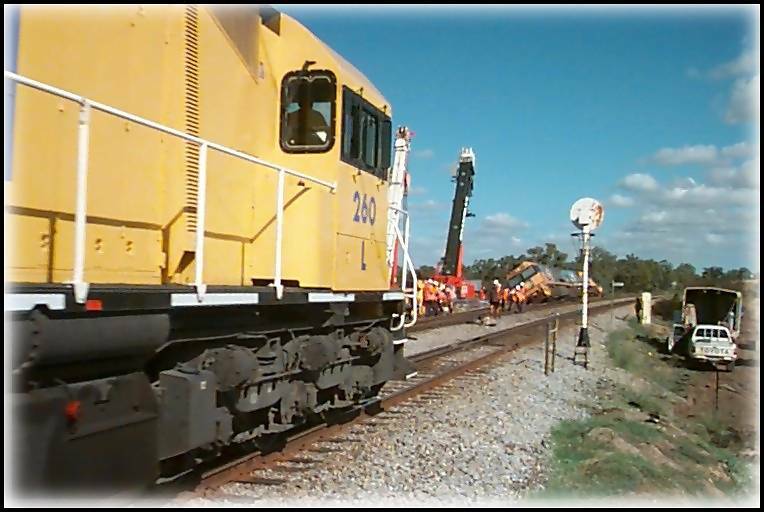 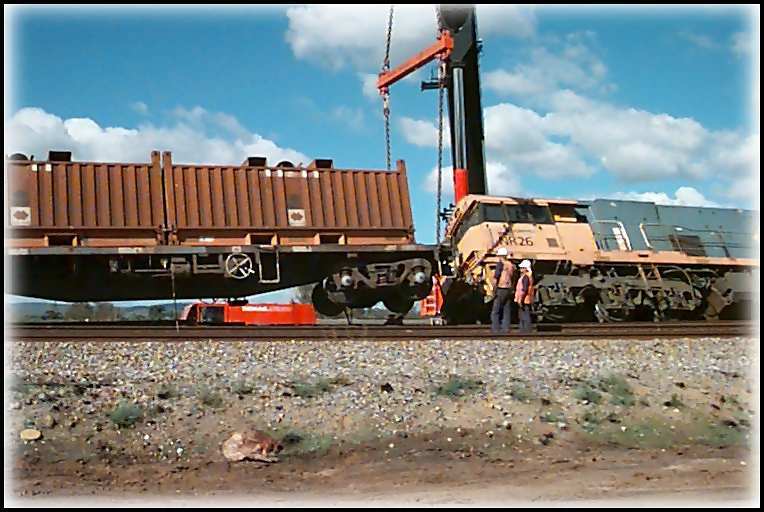 A National Rail steel train bound for BHP Kwinana, derailed at around 2.00am on 21 May 2001. 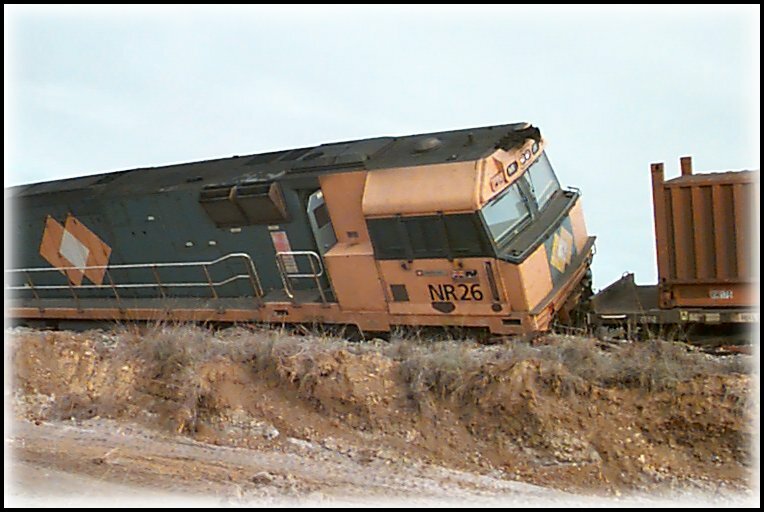 NR35/26 and the first 3 wagons, derailed just south of the Brixton Road rail crossing in Beckenham on the dual gauge Forrestfield - Kwinana freight-only line. 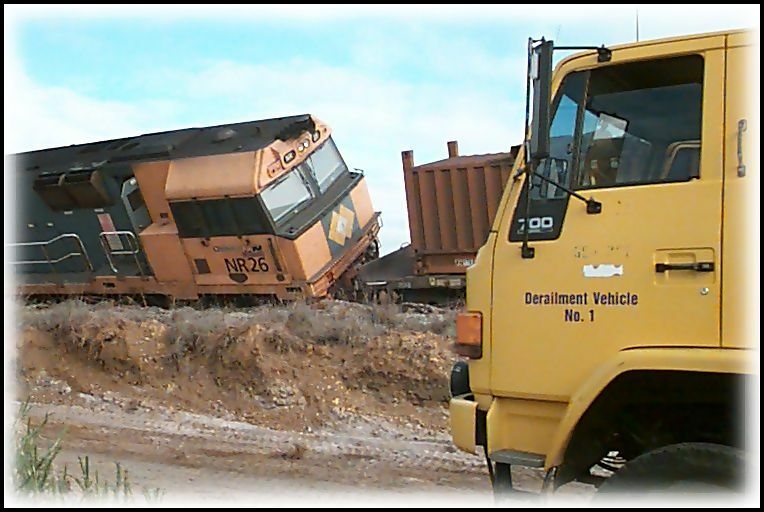 The driver of the single man operated train was reported to be unhurt but shaken, remaining in the unit for some time after the accident. 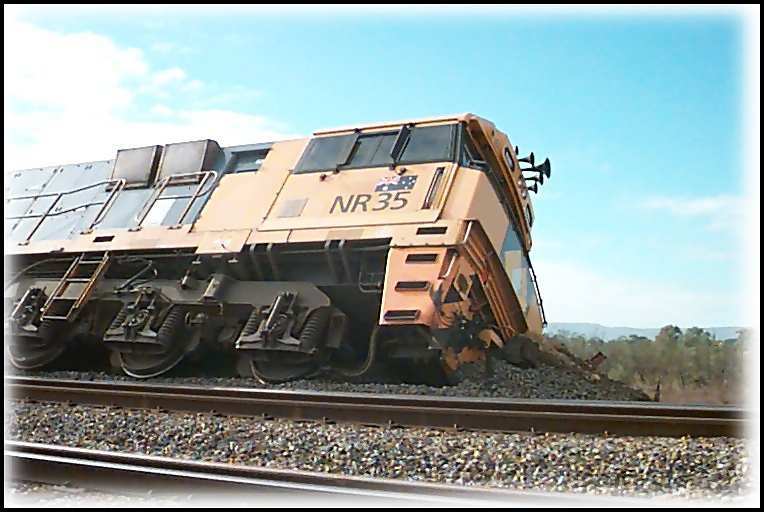 The units were also left running for about 1.5 hours after derailing. 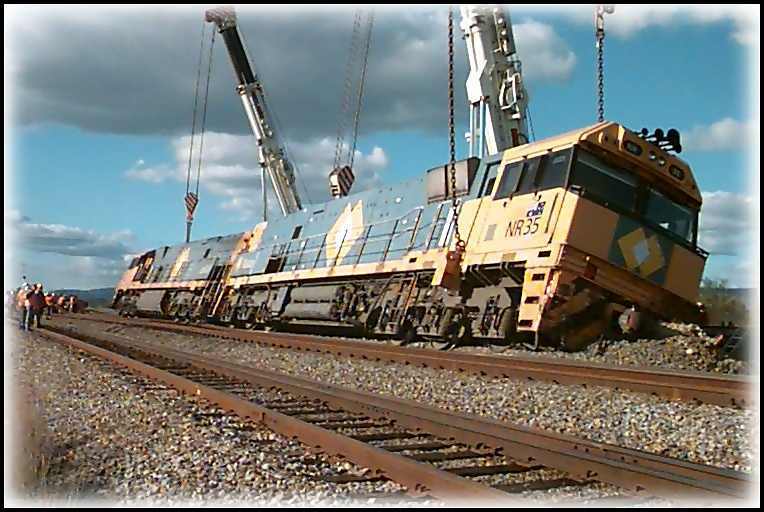 Wrong line running was utilised for the day, past the accident scene. 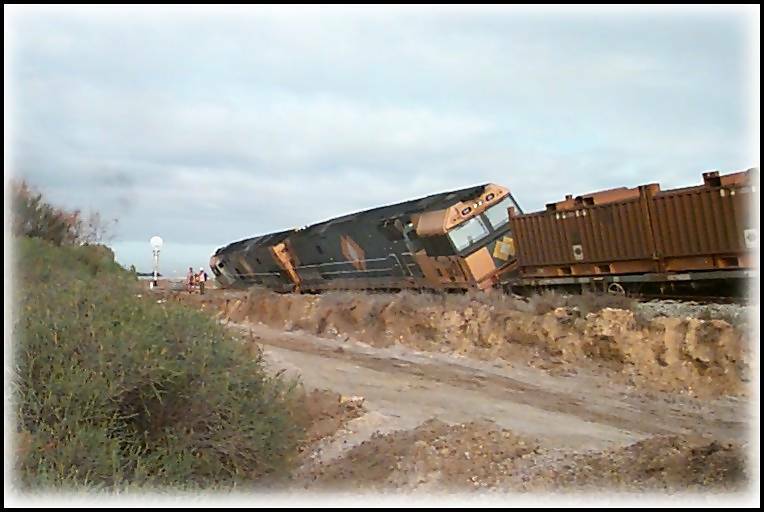 It is believed that sabotage was the cause of the derailment. 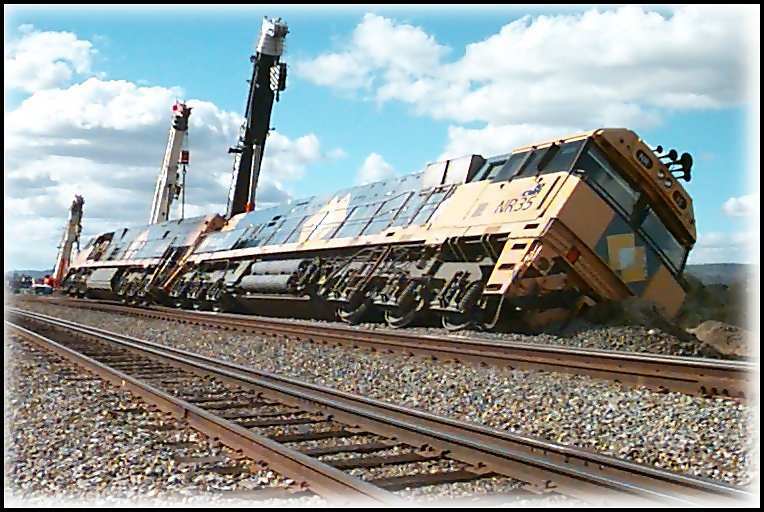 The set of points at the entrance to the narrow gauge link to the Armadale suburban line were set for the NR train.